Ah, the Idiotarod. The annual bizarre race through the streets of Brooklyn takes place tomorrow and, as usual, will be a blogger's paradise and photographer's delight. This year, Gothamist reports, there will be "pimped out shopping carts" starting from spots in Long Island City, Dumbo, Williamsburg and Greenpoint. (Last year, there was a big police presence and the starting point of the race was switched at the last moment.) 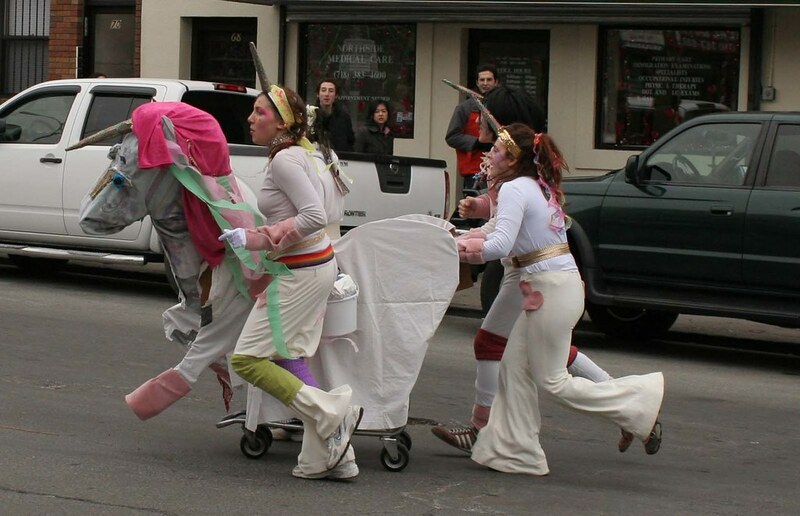 There are nearly 11,000 photos on flickr tagged idiotarod. Count on a couple of thousand more by Monday.